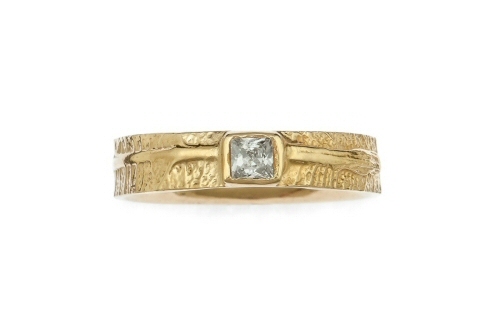 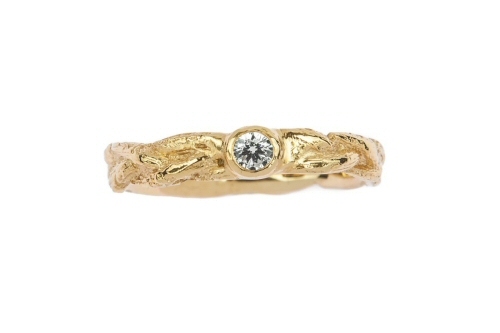 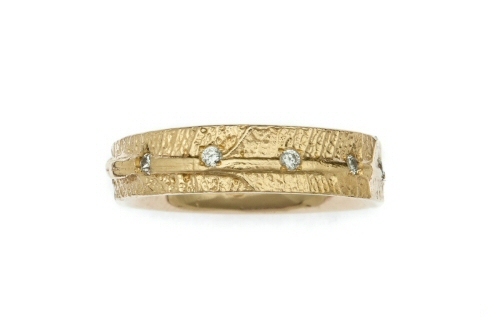 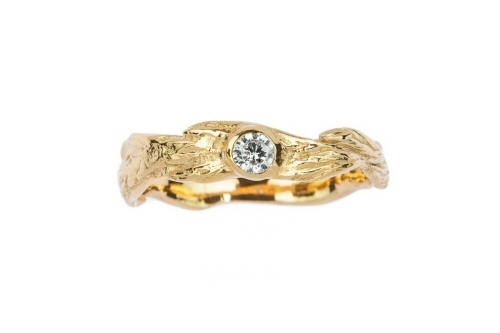 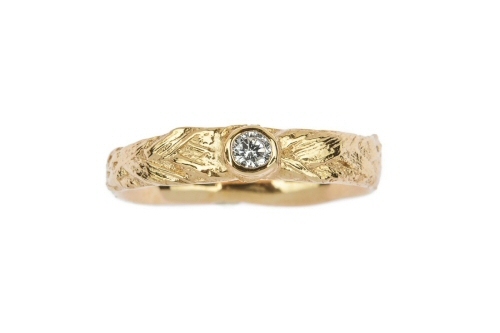 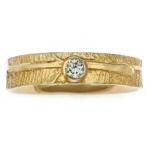 The very fine leaf veins that continue all around this ring are taken from life, beautifully detailed this ring is in solid 18 ct yellow gold, and set with a 0.06ct brilliant cut diamond. 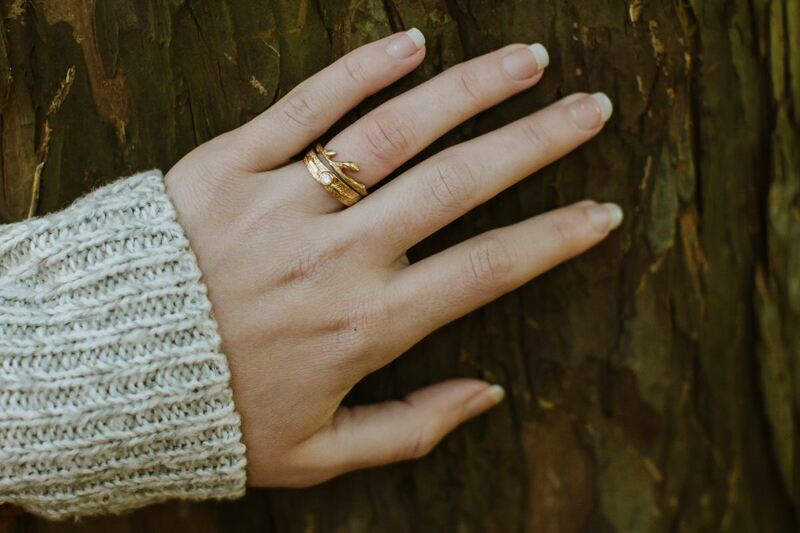 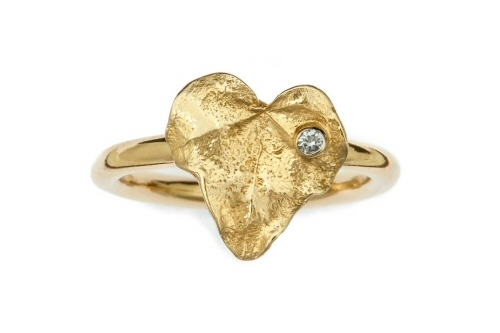 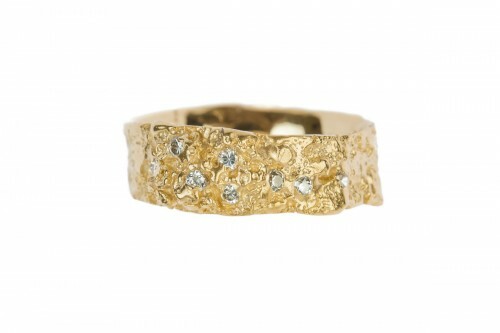 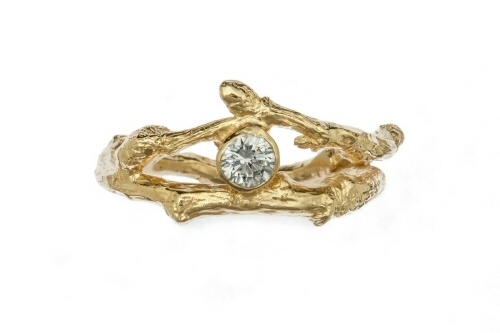 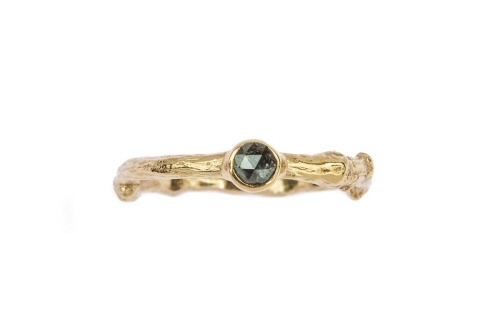 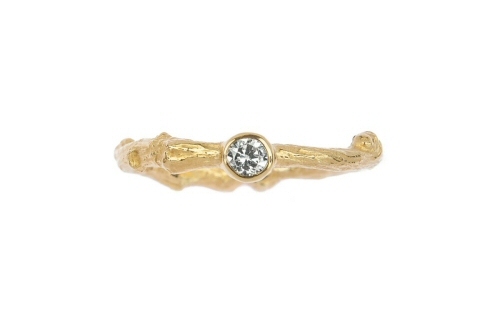 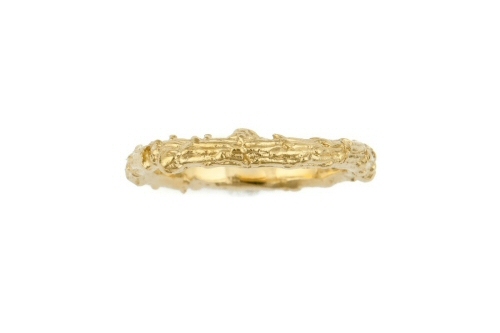 This ring can be worn on its own or paired with a twig or cow parsley stem ring to create a woodland wedding set. 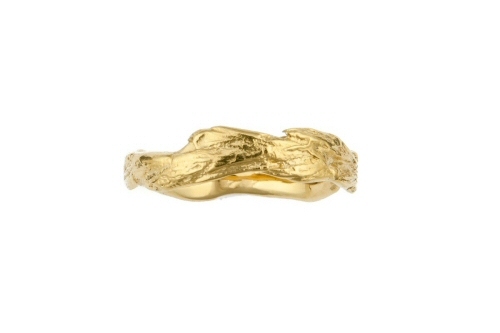 The leaf ring can be made in yellow, white or rose gold, the band is 4mm wide with a curved highly polished inside that carries a Birmingham hallmark.